In the opening collect for the Memorial of St. Charles Borromeo, the Church prayed, “Preserve in the midst of your people, we ask, O Lord, the spirit with which you filled the Bishop Saint Charles Borromeo.” The spirit that filled St. Charles was the same attitude that filled Christ Jesus, as we read in the great Christological hymn from Philippians today—Jesus humbled himself. This attitude of Christ, emulated by the saints, is the same attitude we all should have. Besides being Christ-like, what specifically characterized the “spirit which [God] filled the Bishop Saint Charles?” What is the spirit we wish for Christ to preserve in our midst this very day? I’d like to propose five attitudes which filled St. Charles. In our reading from the Office this morning, St. Charles exhorts the priests to be people who meditate constantly throughout the day. They are to meditate before, during, and after everything they did. He wants them to preach by the way they lived their lives. For Charles, a reformed clergy means that the people, too, would be reformed by the example of their priests. Secondly, Charles had a sincere Eucharistic devotion and wished for people to foster a similar devotion. 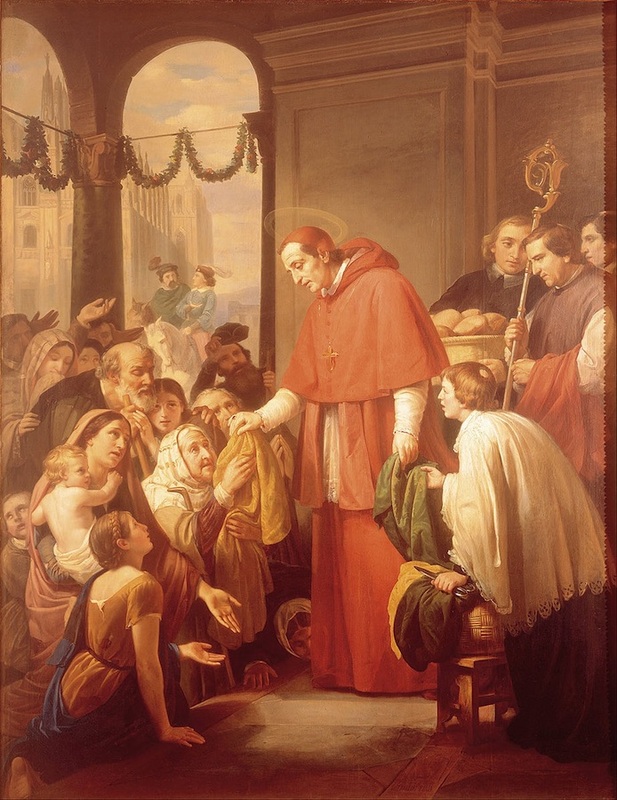 He encouraged his priests to exhort the faithful as often as possible to receive the most Holy Eucharist. He spread devotion to Eucharistic adoration by promoting the Forty Hours devotion and established a Confraternity of the Blessed Sacrament. 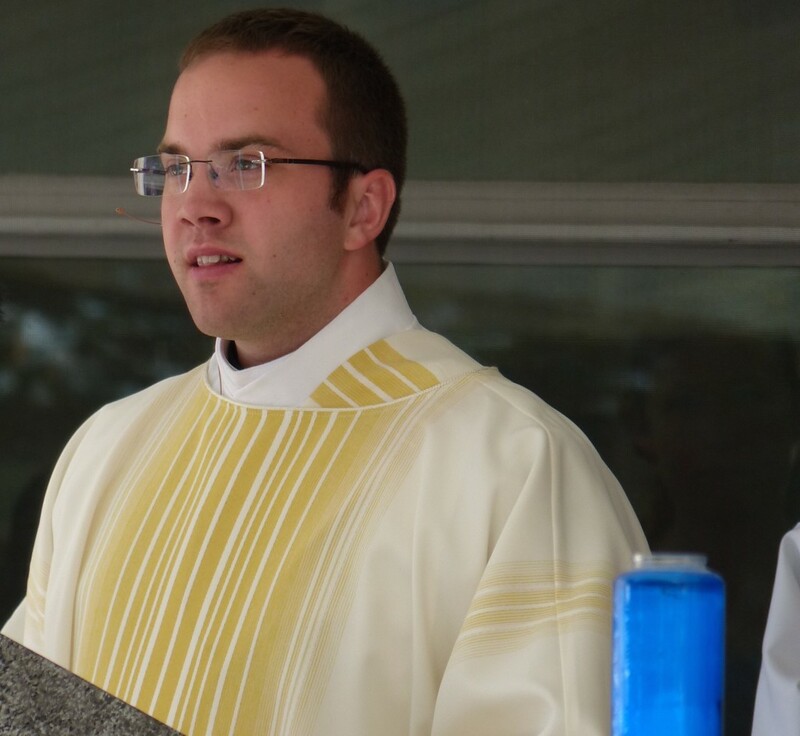 He realized the transforming power of Christ present in the Eucharist. Thirdly, Charles had a strong devotion to the Passion of Christ and frequently preached on this topic on Wednesdays and Fridays at the Church of the Holy Sepulcher in Milan. In his prayer he had many colloquies with the Crucified Christ. He preserved the relics of the Holy Nail in the Cathedral of Milan and often processed through the streets with it. The passion of Christ was always before his eyes. Fourthly, he was a devoted son of the Virgin Madonna. In his work with seminarians, he required the daily recitation of the Little Office of the Blessed Virgin. He encouraged devotion to the rosary, especially for those who could not recite the psalter. Centuries before Fulton Sheen encouraged the Saturday votive Mass to Our Lady, Borromeo already ordered that Mass be celebrated every Saturday in honor of the Blessed Virgin or that a commemoration be added. Additionally, he required the clergy to recite or sing the Salve Regina after the Divine Office on Saturdays. He also required an image of Our Lady be placed in the front of the Churches and during the plague he personally made frequent pilgrimages to a miraculous image of Our Lady. He understood the graces Mary wished to mediate to her sons and daughters. Lastly, he was a friend of the saints, and often sought their intercession. Given his leadership in Milan, he was extremely devoted to St. Ambrose. Charles was known for his veneration of relics and promoted such veneration among the faithful. One biographer commented that Charles’ love of the saints was rewarded when he discovered the tomb of two different saints—Jerome Emiliani and Blessed Nicone the hermit. He realized the intercessory power of those holy ones who have preceded us in the faith. Today as we reflect on the attitude that filled St. Charles, we remember his great love for our crucified and Eucharistic Lord Jesus, for his priests and the people he served, for the Blessed Mother and all the saints. The spirit of St. Charles is no different than any other saint and this spirit must fill each one of us. Unlike those in the gospel who declined the invitation to a great dinner, let us respond generously to Christ’s invitation which resounds to this very day—to be holy and become saints. May this saintly reformer and patron of seminarians intercede for us today and always so that the Church may show the face of Christ to the world. Most. Rev. Cesare Orsenigo, Life of St. Charles Borromeo, translated by Rev. Rudolph Kraus, St. Louis, MO: B. Herder Book Co., 1945. [i] John Peter Cameron (editor), Magnificat, vol. 16, no. 9, p.66.